Seal Beach, a tight-knit community where suburban and seaside living merge, making it one of the most sought after beach towns on the West Coast. And what better way to enjoy ocean breezes and walks to the sand than in this luxurious home located in the coveted “Coves” neighborhood just blocks from the beach. Built in 1998, fully remodeled in 2012, this highly-upgraded 4 Bedroom, 2.5 Bathroom Two Level Home offers everything a discerning Homeowner could want, soaring ceilings and walls of windows allowing sunshine and fresh ocean air to flow in through every angle. Custom Mahogany double front doors set the tone for the gorgeous interior, impressive arched doorways, wood floors and custom light fixtures. The designer-inspired kitchen is upgraded in every way, custom cabinetry, top-quality stainless appliances and eye-catching tile work. All four bedrooms are located upstairs, including the expansive Master retreat surrounded by windows & featuring an elegant Master bath reminiscent of a luxurious spa. The sophistication of the interior only enhances the impressiveness of the outdoor back patio. Lush landscaping and twinkling lights set the scene for an ideal place to unwind or host festive gatherings with family and friends. Kick back by the built-in fire pit and relax in the spa. The 3-car tandem garage offers plenty of storage and the tandem space had a builder option to be converted into a 5th bedroom. Known for its friendly residents and top-rated schools, Seal Beach is a wonderful place. Enjoy Your Approximately 2,416 Square Feet Of Living Area!!!!! Welcome to Seal Beach, one of the best-kept secrets in SoCal. Known for its friendly residents and top-rated schools, Seal Beach is a wonderful place to call home. And now is your chance! This charming beach home located in the coveted “Coves” neighborhood is just blocks from the ocean and your opportunity to use your creativity and make a house a home. With 3 bedrooms and 2 baths located in the expanded downstairs and a spacious Master suite upstairs it works well for family living. The Master offers his & hers bathrooms, walk-in closets and a cozy sitting area with a private deck overlooking the lushly landscaped backyard and lap pool. The expanded living room features sliding glass doors leading to a private, outdoor patio with skylights. A true community feel, Seal Beach has an enchanting Main Street with boutiques, cafes and local restaurants. Plus, enjoy summer concerts on the beach and many more community activities. Don’t miss this opportunity to create your dream home in one of the most sought after beach towns on the West Coast! Just Relax In This Approximately 2,345 Square Foot Home!!!!!!! You will feel at home from the moment you drive up to this Sunshine Bungalow cutie. A porch welcomes you to sit, relax and visit with the neighbors. The location is fabulous, tucked into a quiet cul-de-sac and right around the corner from Irby Neighborhood Park. Step inside…ahhhh, it feels wonderful because the central air keeps you cool even on the hottest of days. This is a great floor plan for entertaining with a spacious living room flowing into the dining area and a sliding glass door leading to the covered patio and roomy backyard. The sunny kitchen has been remodeled and features white cabinetry and granite counters. All four of the bedrooms are down the hallway and both the hall bathroom and the master bathroom have been remodeled. The master bedroom has a closet organizer from Container store to keep your clothes looking their best. This home features vinyl windows, paneled doors, smooth ceilings, laminate flooring and carpeting in the bedrooms. The oversized driveway allows for a car or small RV to be parked and still give you plenty of room to park in the garage. This home is located close to Huntington Central Park and library, Bella Terra and Pacific City, the Huntington Beach Pier, Sunset Beach, restaurants and transportation. Pride Is Evident In This 4 Bedroom, 2 Bathroom Home With Approximately 1,351 Square Feet Of Living Area!!!!!!!!!! Executive living at its finest. Located behind the gates of Greystone Landing, this Home is Impressive from the moment you walk thru the doors and note the soaring ceilings. Entertaining is easy, with a spacious family room that opens to the kitchen and the covered patio and yard. If you like to enjoy a casual wine and dine style with your guests participating in the action, the center island is perfect. If your style is a little more formal, this flexible floor plan will work with a formal living room/dining room area in addition to the family room. Upstairs you will find 3 spacious bedrooms including a large master with en-suite bathroom and a generous walk-in master closet. Let's talk lifestyle...living at Greystone Landing, there are choices....you are only a few minutes from so many wonderful opportunities. Pacific City has a variety of upscale and casual restaurants and shops. The beach is a little over a mile away, the Huntington Beach Pier, Main Street and Farmers Market about a mile and a half plus there are plenty of eating establishments and a health food store on Beach Blvd. And if you want to stay even closer to home, grab a towel and head over to the resort style pool right there at Greystone Landing. Your life...You choose! Now Enjoy Your 3 Bedroom, 2.5 Bathroom Home With Approximately 2,043 Square Feet Of Living Area Here!!!!!!!!!! Year round outdoor living….Southern California style! Entertaining is so much fun when you can swim in the salt water pool, lounge on the Baja Shelf under the umbrella with your feet in the water and a drink in your hand or enjoy the spa. The evenings are spectacular with alfresco dining, mood lighting in the pool, the ambiance of the fire pit and surrounded by music of your choice! The interior showcases a dramatic step-down living room with vaulted ceiling, fireplace, recessed lighting and speakers. The kitchen/dining area opens to the impressive outdoor area for easy indoor-outdoor flow and features almost new high-end appliances, granite counters and a center island with seating. The master bedroom has a walk-in closet and both bathrooms have been updated. Not only is the backyard a delight but the sellers have recently invested in a new electrical panel and owner owned Solar Power System, AV wiring with CAT6 and 6.1 surround sound speakers in living room, LED lighting, central air and heat, dual pane windows and slider, newer interior doors, interior and exterior speaker system. Automated system for pool and landscape lights via phone app. Newland Park is in this neighborhood as well. Best Of All In This 4 Bedroom, 2 Bathroom Landmark House You Get Approximately 1,541 Square Feet Of Living Area!!!!!!!!!! If you like indoor-outdoor living this Sunshine Single Level Home is for you! The backyard features a spacious covered patio for year round enjoyment. There are several areas for lounging, dining and conversation. The deck has built-in seating making it easy to accommodate a large group. There is also an exterior office in the back corner of the yard, if you don't need an office it could be a hobby room, man cave or playhouse. This Home has the perfect match of classic features and current styling. The exterior has a welcoming front porch, great for sitting outside in the evening and chatting with the neighbors. The stacked stone accents enhance the appeal of the porch and the front of the garage. Inside you will find warm wood flooring and an open floor plan. The living room has a customized wall of storage with areas for the TV, a desk and art; it is not permanently attached and can be moved. Entertaining is a breeze with good traffic flow from the living room, kitchen, dining area and out to the huge covered patio. The kitchen checks all the boxes...quartz counters, subway tile, stainless appliances and white cabinets! There are 4 bedrooms and both of the bathrooms have been updated. Newer vinyl windows and central air conditioning make this a comfortable Home to live in year round! Pride Of Ownership Prevails In This Approximately 1,351 Square Foot Property!!!!!!!!!!!!! It’s all about location and style! This extraordinary penthouse was recently renovated to provide the ultimate experience. From the moment you open the door you step into a relaxing Home with views of the Balboa Bay. The attention to details is amazing with beautiful mill work and wainscoting. The much desired open concept floor plan has an expanded kitchen area which works well for entertaining. The kitchen is well planned and the light color cabinetry reinforces the coastal feel of the home. Enjoy your coffee in the morning on the balcony as you watch the boats go by. This turnkey home features two spacious bedrooms and two remodeled bathrooms. Everything is close by and you get 360 degree views from the roof top deck of the Towers. On one side, there is the ocean, palm trees and the Balboa Pier. Swing around and you can capture the view of the coastline, Balboa Island, Fashion Island, the mountains and the Balboa Bay, continue on and experience the iconic Balboa Pavilion, the Fun Zone, and the Balboa Ferry. Homeowners at Newport Bay Towers have first priority to rent the boat slips located by the building and they can accommodate boats from a Duffy to a 65 foot yacht. It Is The Best Unit In The Complex Emphasizing Approximately 1,346 Square Feet Of Living Area!!!!!!!!!!!!! What a great place this is….it just feels like the beach and casual living with tile floors downstairs and big windows for a great breeze. The kitchen has been updated with new quartz counters and stainless appliances. This floor plan has a good flow for entertaining with a spacious private patio in the front and off the kitchen there is a dining area and convenient back patio for your BBQ. There is also a cozy fireplace in the living room for the winter evenings and downstairs there is a powder room for guests. Upstairs you will find 2 spacious bedrooms with new carpet, closet organizers and an updated bathroom. Don’t forget there is an attached garage with an included washer and dryer. Harbour Village has a beautiful pool/spa area, a club house and tennis court. The association has almost completed painting the complex and is in process of installing vinyl patio walls and gates. This is a well-run HOA with low dues of $277 and good reserves. Don’t forget you are close to everything including Trader Joes, coffee shops, restaurants, Bolsa Chica State Beach, markets, parks and transportation. It's Definite That Pride Of Ownership Prevails In This Approximately 960 Square Foot Towhome!!!!!!!!!!!!! This French inspired, single story home is located at Meadowlark Golf Course and overlooks the 12th green. 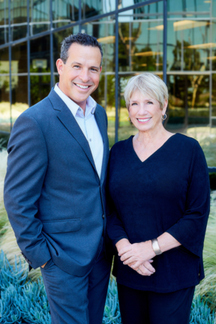 Designed by renowned Santa Barbara architect Peter Kavoian, most all of the original home was town down: redesigned, rebuilt and additional square footage was added. From the moment you step in, you know this is a remarkable home with an artist's attention to details and design. Warm and inviting with arched doorways, 10 foot ceilings, a grand 2 story turret entry, stone flooring and French doors. The sunny kitchen is not only designed for a real cook with lots of counters and a Viking stove, it also features a huge window so you can enjoy the golf course. The spacious formal dining room is elegant, perfect for dinner parties. The living room features a fireplace and a view. There are 4 bedrooms with one of the bedrooms currently being used as a study with built-ins and a fireplace. With our warm Southern California weather you can entertain outside and experience "alfresco dining." Just like in France, sit outdoors with your glass of wine and take in the scents of Jasmine, lavender and roses. This really is a one-of-a-kind trophy house and must be experienced to truly appreciate all of the details and the ambiance. You'll Get Approximately 1,951 Square Feet Of Quality Living Area Here!!!!!!!!!!!!! 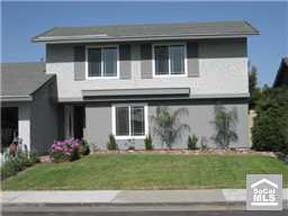 This single story home is located in a great West Huntington Beach neighborhood. The desirable floor plan features a large, off-set living room with a vaulted ceiling and cozy fireplace. The oversized window offers a view to the front yard and an abundance of light. The builder of this home, William Lyon, designed these homes for versatile California living with a spacious dining room/family room opening to the kitchen. There is a sliding glass door for easy access to the yard and a large pass through window in the kitchen which opens to a serving shelf on the patio and makes entertaining a breeze. A double door entry to the master bedroom adds a nice touch and there is plenty of room for a king size bed and additional furniture. Enjoy the sun and beach breezes..no neighbors directly behind you. The back yard has a large patio area with BBQ and fire pit plus slump stone planters and a large grassy area. On the side there is an RV area 8X33 with access from a front gate. This home is ideally situated close to award-winning schools, the beach, pier and Main Street, Huntington Central Library and park, transportation, markets, dog beach and dog park, wetlands, Pacific City and Bella Terra. You'll Get Approximately 1,320 Square Feet Of Living Area In This Beauty!!!!!!!!!!!!! Enjoy The Approximately 1,034 Square Feet Of Living Area In This Jewel!!!!!!!!!!!!! Located in the tranquil Harbor Vista complex, this top floor unit takes full advantage of the beautiful surroundings. Enjoy your morning coffee or an evening cocktail on the balcony while looking at trees and streams and even ducks. Inside you will be pleasantly surprised by the volume ceilings and spacious floor plan. The large kitchen has plenty of counter space and lots of cabinets. The dining room will accommodate a full size table and is open to the living room which has a fireplace. All three bedrooms are generously sized. The master bedroom has a huge walk-in closet. There is a large laundry room that will accommodate a full-size washer and dryer off the hallway towards the bedrooms. This unit has a one car garage with storage and a designated parking space #108 located close by. With over 1200 square feet, this feels like a house, but with a view and no yard work! This is on lease land. This Condo Shows Like The Model!!!!!!!!!!!!! Open concept, kitchen-family room with French doors opening to the yard, covered patio and spa. The kitchen has been remodeled and features white cabinets, granite counters and a garden window. This house is great for entertaining with a circular floor plan that includes a spacious dining room and a separate step-down living room with a bay window and a view to the charming front courtyard. The home features scraped ceilings, crown moldings and the highly desirable, inside laundry room with lots of storage. A downstairs 5th bedroom is available for an office, playroom, or convert it back to the 3rd car garage space. Upstairs you will find 4 spacious bedrooms. The master bedroom is huge with a step-up sitting area, currently being used as an office but could also be a fabulous walk-in closet! There is a roof top deck with gorgeous sunset views, see the photos. This home is located in an executive neighborhood, South of Warner and close to award-winning schools. Golden View Elementary features a 1 acre animal farm with animals and crops...a little slice of country life at the beach. A great area, you are close to lots of shopping and dining options, including Bella Terra and Pacific City, 8 miles of beach, the Pier, Central Park & Library, dog beach & dog park . Wow, You'll Get Approximately 2,710 Square Feet Of Living Area Here!!!!!!!!!!!!!! This two bedroom, 2 bath end unit condo has a lot to offer. Single level, with an open concept floor plan, featuring a cozy, wood burning fireplace and easy care laminate throughout. The spacious master bedroom has a large private balcony with a large storage closet. The laundry is conveniently located in your own home and 2 assigned parking spaces are directly below your unit. Situated in the amazing Cabo Del Mar Gated Community which offers: Lush Landscape, Pool, Spa, Sauna, Tennis Court, Racquetball Court, Clubhouse. Close to the Beach, Bolsa Chica Wetlands & Trails, Huntington Harbour, Restaurants and Shopping. Your Bonus Feature Is Approximately 1,002 Square Feet Of Clean Living Area Here!!!!!!!!!!!!!! Located in an executive neighborhood, just minutes from the beach, this single story home has been lovingly maintained. From the moment you step though the front door, you will know this is a place to call home. The wide, welcoming entry has a formal living room with arched opening on the left and then leads you towards the back of the house with the kitchen and family room. This Spanish inspired home has a fabulous, vaulted wood ceiling and an arched Spanish style fireplace in the family room. Large windows and sliding glass doors make this home bright and sunny. With 4 bedrooms and over 1800 square feet, this is an ideal floor plan for almost everyone. All of the rooms are generously sized and the U shaped floor plan wraps around the patio and yard to take full advantage of the garden views. Plus for your convenience, there is an indoor laundry room. Award-winning Golden View School with its one acre animal farm, Mesa View Middle School and Ocean View High School are all close by as is the Huntington Beach Pier, Bella Terra, Pacific City, and Huntington Central Park & Library. It's Not Easy To Find A House Like This In A Choice Area!!!!!!!!!!!!!! 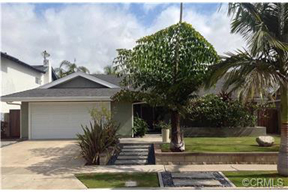 Here you go…a single story home with a 3 car garage and RV access in West Huntington Beach! This home is adorable from the moment you drive up, enjoy the evening sunsets from the cozy porch. Inside you will find an open floor plan with a remodeled kitchen that looks out to the covered patio. The dining/family room flows into the kitchen and has access to the patio from sliding glass doors; a beautiful skylight ensures a year round sunny room. The living room enjoys a vaulted ceiling and views to the front yard. Both bathrooms have been remodeled and there is rich, laminate flooring throughout. The corner location provides a perfect yard for any size RV. This is a great location right around the corner from award-winning Golden View School with it's animal farm, the neighborhood park, Huntington Central Library & Park and Dog Park. Take advantage of all Huntington Beach has to offer including over 8 miles of beach, the pier, dog beach, The Strand, Pacific City and Bella Terra. Enjoy Approximately 1,320 Square Feet Of Cozy Living Area Here!!!!!!!!!!!!!! You Can't Find A Better Location Than This Property Has!!!!!!!!!!!!!! Looking for a 4 Bedroom Two Level Pool Beach North Home??? It could be yours! Beautiful pool & spa with a waterfall and surrounded with tropical landscaping. Ideally located with no neighbors behind, you can enjoy the ocean breezes. This 4 Bedroom floor plan is very versatile with 3 bedrooms upstairs and a bedroom and bath downstairs with the option to lead into the bedroom up for a larger family room. The dramatic entry features Cherry wood stairs, banister & iron spindles, and much of the Home enjoys the same Cherry wood flooring. The formal living room has the morning sun and a street view and there is a wall to wall fireplace with mantle, perfect to hang the Christmas stockings. Along with a full size dining room, there is a cozy eating area in the kitchen, and the kitchen, dining room and downstairs bedroom all have pool views. Don't forget to look at the cute Lark View Neighborhood park, located just a few doors down the street! Award-winning schools, Huntington Central Library, restaurants, stores, transportation, dog beach, dog park, The Huntington Pier, and Bella Terra are all near for your enjoyment. In More Than 2,200 Square Feet Of Living Area You Get Lots Of Charm!!!!!!!!!!!!!! Like wide bright spaces? This is the Home for you! Fabulous location for this 5 Bedroom, 2 Bathroom Two Level Cal Classic Home. Only one neighbor...Lark View Park is on one side and the Ocean View School District Office is located in back with huge park-like grounds. The front and back have been professionally landscaped with a water-friendly design! The living room features a cathedral ceiling and a beautiful clear view to the rear yard. This very versatile floor plan has two master bedrooms, one on each level making it ideal for home businesses, multi-generation families or boomeranging adult children. All three bathrooms have been remodeled and the downstairs bath has a walk-in shower. Three bedrooms downstairs and two bedrooms upstairs, although one bedroom is used as an office without a closet. Best Of All You Get Approximately 1,875 Square Feet Of Living Area!!!!!!!!!!!!!! Cape Cod charm with a Huntington Beach lifestyle in the highly sought after Landing Neighborhood West of Graham and near The Bolsa Chica Wetlands. Loaded with curb appeal from the river rock exterior and cozy patio to the red front door. The traditional floor plan of this Two Level Home is enhanced with real wood floors, wainscoting and French doors. This bright, sunny home has an abundance of natural light with views to the private, lushly landscaped back yard from the kitchen, living room, family room and upstairs master bedroom. The kitchen has tons of space, granite counters, a gas cook top and room for a kitchen table. The family room is huge and a true multi-use room with plenty of space for couches, table & chairs, and a desk. It also features a raised hearth fireplace and French sliding door to the yard. Conveniently located off the family room is a 3/4 bath and also a spacious laundry room with a sink and counters for folding. Upstairs features 3 bedrooms and 2 bathrooms. The master suite has 2 closets including a walk-in with storage. The master bath has dual sinks, plenty of counter space and a spa like ambiance. The garage is good-sized with a direct access to the House and there is a nice side yard with RV possibilities. There's Approximately 2,331 Square Feet Of Living Area Here!!!!!!!!!!!!!! This is the highly desirable Spiral Staircase model of the Franciscan Fountains tract and it looks at Huntington Central Park. The moment you walk through the front door you'll appreciate the abundance of natural light, formal entry and a bright floor plan with a spacious living and dining rooms. The remodeled kitchen leads to a large, comfortable family room with a cozy fireplace. The wall of windows along the back of the Home features 2 sliding doors, giving access to the backyard, spa and covered patio area. Upstairs, all the bedrooms are generously sized. The master bedroom features a walk-in closet, park views and a remodeled master bath with huge king-sized shower. The master retreat/5th bedroom has been converted into an upstairs laundry room/craft room with lots of counter space. A huge bonus is the downstairs bedroom and bath, great for guests. On warm days, enjoy the Trane central air and the whole house fan. The 3 car garage features a work bench, slot-board throughout allowing for the use of tools & sports equipment, and additional attic storage accessed from a pull-down ladder. The garage includes a washer/dryer hook up in addition to the upstairs laundry. There is a 30 X 9 ft RV pad with full capabilities. Enjoy The Best Of Approximately 2,527 Square Feet Of Living Area In This Choice Residence!!!!!!!!!!!!!! Rarely does this desirable, Beach North Single Level floor plan with more than 1,800 Square Feet of Living Area comes on the market. The double door entry leads to a step-down living room with a two-sided fireplace and views to the backyard. The kitchen has been remodeled with granite counters and beautiful cabinetry. The adjoining family room enjoys the other side of the cozy fireplace and has a sliding glass door to the yard and covered patio. The floor plan has 4 generously sized bedrooms and 2 bathrooms. The master bedroom has dual closets and a bay window. The home is located on a quiet, good-sized interior, corner lot. The covered patio is great for summer entertaining with direct access to the family room. The yard has a block wall with a gate from the side to create a large RV access, and there is still a spacious back yard with a wonderful Apricot tree. Ideally located near Huntington City Beach, Huntington Central Park, Dog Park and Dog Beach, award-winning schools, markets, restaurants, Bella Terra Center and transportation. The Neighborhood Is Awesome Here!!!!!!!!!!!!!! Fabulous studio in the only complex located on the sand in Huntington Beach. Near EVERYTHING! The pier, Restaurants, sand volleyball courts, shopping (including the under construction Pacific City,) bike paths, Main Street and dog beach. Highly upgraded, fully furnished and ready to go...just bring your clothes and a toothbrush. This amazing complex is guard gated, has a pool looking at the ocean and a private beach with fire pits, BBQ's and picnic area. Workout in the gym and relax in the sauna. Want to entertain?...there is a club house complete with full kitchen, sofas, pool table, wrap around outdoor deck and of course ocean views. This condo would be great for someone who travels a lot but when home wants to relax and enjoy the good life at the beach or a first time buyer or a wonderful vacation home or a cozy retreat! It Is The Best Deal On The Coast In Southern California!!!!!!!!!!!!!! From the moment you drive up, this home welcomes you with charming cottage details. Open the gate and step into your sun filled courtyard, settle into an Adirondack chair, take a deep breath, smell the ocean breezes and relax, you're home! Perfect for entertaining, a set of French doors in the living room opens wide to the courtyard so the boundary between inside and outside disappears, guests can enjoy the built-in flat screen TV or sit outside and visit. This versatile floor plan has 4 bedrooms and 3 bathrooms and is a winner with lots of possibilities. There is a downstairs master bedroom with bath and two additional bedrooms. Currently the wall between the 2 secondary bedrooms has been removed to make a large office, but both closets and entry doors remain so the seller will replace the wall if a buyer wants. Upstairs are two additional bedrooms and a family room. This floor plan works well for a home office, multi-generations, large families, college kids, crafting space or adult and children areas. Outside in the back yard there is a covered patio and a built-in BBQ island plus a large grass area. Located close to Huntington Central Park and Library, award-winning schools, dog park, Huntington City Beach, transportation, stores and restaurants. Did I mention a 3 car garage!!! Best Of All It Has Approximately 2,060 Square Feet Of Living Area Here!!!!!!!!!!!!!! Located on a quiet family friendly cul-de-sac street, in a great Prestige neighborhood, this single level 3 Bedroom, 2 Bathroom Floor Plan does not come on the market much, and has a fantastic design. This Home has been completely re-imagined and goes beyond a typical tract Home. It features a well thought and functional flow living space equalling Approximately 1,736 Square Feet and has been updated all around. The artistic, mixed use of wood, tile, and polished concrete flooring enhances the contemporary feel of the Home. Updated Low-E windows, maple/aluminum french doors, and a good sized slider embraces the natural light and provides easy access to a lush tropical yard. Recessed lighting and ceiling fans are all around this Property. The spacious master features additional windows, private bathroom and walk in closet. All bedrooms are good sized and spacious with plenty of storage. Both bathrooms have been completely remodeled and showcase custom eucalyptus cabinetry, designer fixtures/hardware, Italian River marble counters, and floor to ceiling tile. The yard features a variety of palm trees including King, Queen, King Kong and Fishtail along with Tea Tree, Giant Bird of Paradise, Plumeria and one of the sweetest navel orange trees in Huntington Beach. You'll Find True Pride In Ownership That Makes This Place Special!!!!!!!!!!!!!! This Lovely California Contemporary Single Level Belmeadow 4 Bedroom, 2 Bathroom Home has been completely updated! The sunlit kitchen has been remodeled with cherry, shaker-style cabinetry, granite counters and a stainless steel appliance suite including; side by side refrigerator with water & ice, dishwasher, microwave and self cleaning range. This floor plan features a huge dining area which leads to the kitchen and a separate living room with a vaulted ceiling and a cozy fireplace. You can move right in...it's all ready for you... new flooring throughout, new doors and hardware, new baseboards, freshly painted in warm neutral colors, beautifully remodeled bathrooms with designer tile, quartz and granite counters and Kohler fixtures, new windows, new roll up garage doors, the list goes on and on. Your Bonus is a 3 car completed garage AND a large RV access and you even have a back yard. Located near award-winning Golden View School, Golden View Neighborhood Park, Huntington Central Park and Library, Huntington City Beach, markets, shopping, restaurants and transportation. Relax In This Charming Residence That Includes 1,437 Square Feet Of Living Area!!!!!!!!!!!!!! Live the California lifestyle...splash around in the pool with family and friends then relax in your bubbling spa. Cozy next to the fire pit and enjoy a glass of wine or toast some marshmallows. This tract, The California Classics, was designed by William Lyon to take advantage of our weather and exterior living. A pass through window in the kitchen make entertaining easy and there is a charming retractable awning for the sun or our occasional rain. The downstairs master bedroom and living room both enjoy views to the yard and pool. This is great floor plan with 3 bedrooms and 2 baths downstairs. Upstairs is currently being used as a huge bonus room and there is a full bath upstairs so this could easily be turned back into a bedroom, a luxurious master suite, a home office or a combination. This well-maintained home has designer style 18 inch tiles, vinyl windows, alarm system, recessed lighting, wide baseboards and a newer roof. All three bathrooms have been updated and there are mirrored wardrobes in the bedrooms. The exterior has a modern look with raised stucco detailing. Located in the award-winning Golden View Elementary School tract with it's 2 1/2 acre farm, this home is near Huntington Central Park, Huntington City Beach, shopping and transportation. This Property Shines With Approximately 1,871 Square Feet Of Living Area!!!!!!!!!!!!!! Built by William Lyon Builders in 1969, This 6 Bedroom, 2 Bathroom "Bellmeadow" Home is ready for a new owner. You'll love the 2 Level vaulted ceiling in the living room and the spacious dining room which could accommodate an extra-large table for holiday dinners or your entertaining needs. The floor plan is exceptionally versatile with 3 bedrooms downstairs including a master suite. Upstairs there is an additional master bedroom with a sitting area and two more bedrooms. The second level master suite would also make a great bonus/media room. This House has been freshly painted with designer colors and has new carpeting. The beautiful Hickory laminate flooring downstairs visually expands the living room, dining room and kitchen. Located in a quiet neighborhood near award-winning Golden View Elementary School, Huntington Central Park and Library, The Beach, stores and transportation. It Has Approximately 2,089 Square Feet Of Cozy Living Area!!!!!!!!!!!!!! Built by William Lyons, this home was designed for California living. The sunny kitchen has been remodeled and features beautiful oak cabinetry and large corner windows. The spacious dining area is located off the kitchen and has a sliding glass door to the patio for easy outdoor entertaining. The living room has a view to the front yard, a 2 story volume ceiling and a cozy fireplace. In this versatile floor plan, the downstairs has 3 bedrooms, including a master bedroom suite and upstairs there is a possibility of 3 additional bedrooms. This is a 'plan 3' home which gave the first owner several options for the 600 + square foot upstairs. The original brochure gave 4 build-out options including a master suite with a parent's retreat. Currently, the upstairs is configured as a bedroom and bonus room with plumbing available to build-out an additional bathroom. Use your imagination, this space could have many uses and would also be perfect for a home office or artist's retreat. This property is ideally located on a quiet interior cul-de-sac with a wrap around yard and a large 10'6" wide RV access on the side. Walk to Award-winning Golden View Elementary School which has a farm to help students with their curriculum and Golden View Neighborhood Park as well. You Get Approximately 2,032 Square Feet Of Living Area Here!!!!!!!!!!!!!! Exceptional Belmeadow 3 Bedroom, 2 Bathroom Single Level Property located on a cul-de-sac. Fabulous 'cook's' kitchen with rich Cherry finished cabinetry, granite counters, stainless appliances and a sliding glass door to the exterior. Perfect for entertaining, this kitchen wraps around to provide a spacious granite buffet counter and loads of additional cabinetry. The living room has a vaulted ceiling, raised hearth fireplace and charming wood windows looking out to the front porch. There are beautiful porcelain tiles throughout the common areas,the bedrooms and family room are carpeted. The huge family room is also great for a workout room/home office and it could be an additional bedroom. Attractive pavers and artificial turf make the backyard easy care! The sunny master suite has a walk-in closet and a sliding glass door to the back. There is a lovely enclosed patio on the side which makes a great office. It's not often you find room to park a large RV behind a gate, this space is 45 X 9...plenty of room here! Walk to Golden View Neighborhood Park and Golden View Elementary School. Best Of All Is The Approximately 1,800 Square Feet Of Living Area!!!!!!!!!!!!!! A tropical paradise awaits you when you step into the backyard of this Two Level Bellmeadow Four Bedroom, Three Bathroom Home. The saltwater pebble-trim pool is surrounded by palms, rock formations and waterfalls. There is room to entertain under the palapa or simply relax in the spa and enjoy the firepit while sipping your margarita. Once inside the house you will realize how versatile the floor plan is. On the lower level are 3 bedrooms including a master bedroom and 2 bathrooms. The dramatic living room has a 2 story vaulted ceiling and leads to the dining area. Upstairs is a huge bonus room and a spacious second master bedroom and bath. This floor plan would be ideal for a master retreat, extended family or a home office. The kitchen has a view to the side yard. It also looks at the pool which has been updated with granite counters. The attached 3 car garage has direct access to the kitchen-dining area making it convenient for unloading groceries. You're situated in a Good Location near Golden View Neighborhood Park, Golden View Elementary School, Shopping, The Beach and Freeways. This Home Has Approximately 2,046 Square Feet Of Pride In Ownership!!!!!!!!!!!!!! Pristine Two Level Beach North home with a fabulous floor plan. Expanded to more than 2400 square feet, this home is perfect for casual or formal entertaining. The back of the house has the enlarged family room with a fireplace and wetbar and opens out to the deck, covered patio and pool area. There is plenty of room for a dining table in this family room and the remodeled kitchen with an island completes the 'great' room. The house also features a formal dining room and a butler's pantry loaded with extra storage and a separate living room with a leaded glass window and cozy fireplace. Upstairs are 4 generously sized bedrooms. All 3 bathrooms have been remodeled with new sinks, counters and cabinetry. Take a look at the details throughout this home...beautiful carved bannister spindles, newer vinyl windows with extra molding details, 6 panel doors and great storage! Best Of All Is This Prime Location!!!!! Here is your chance to customize a Humboldt Island 4 Bedroom, 3 Bathroom House the way you want it and not have to pay for upgrades you don't want. The original owner is selling this home in it's almost original condition. It's not abused but also has not had a lot of upgrades. It has a newer 50 year metal roof, furnace and water heater. This is a great tri-level floor plan with a large family room opening to the yard. The kitchen has a pass through window to the patio, an eating area and overlooks the family room. Lots of windows and 2 sliding glass doors to the back yard make this a good entertaining house. The front of the house has a private courtyard...picture adding a cozy outdoor fireplace to enjoy our mild beach winters. Upstairs is a nicely sized master bedroom suite and a separate 'guest' wing with 3 bedrooms and a bath. The 3 car garage has direct access through the inside laundry room. This Property Has Potential Galore!!!!! This CUSTOM BUILT Mid-Century Classic Ranch style home is located on over 1/4 acre. A special property it is able to accomodate many unique needs. The main house has a gracious floor plan with 2 large bedrooms and 1 1/2 baths. The living room looks out over the huge professionally landscaped back yard and opens to a covered porch also facing the yard. The dining room is bright and sunny and has room for a large dining room table that could sit 12+ without a problem. Across the breezeway is a charming studio guest house. This is a perfect set up for mother-in-law quarters, an au pair, art studio, music studio or the home office where you don't want to actually be in your house. The guest house has a full bath, microwave, small fridge and it's own heating and air conditioning system, plus easy access with no steps. Plenty of parking with a detached, oversized 2 car garage and additional parking behind the automatic gate for 2 or more cars plus the circular driveway and possible RV. It Is Priced Very Well!!!!! You'll Love What This Charming English Style Two Story Bolsa Landmark Beach Cottage Complete With A Porch, A Picket Fence And A Shingled Entry. There Are 5 Bedrooms, 3 Bathrooms And Approximately 2,148 Square Feet Of Living Space. There Are Lots Of Upgrades Here Including Wood Floors, Scraped Ceilings, Crown Mouldings, Paneled Interior Doors With New Hardware, Newer Windows, Sliding And French Doors, A Master Suite Wth A Recently Remodeled And Expanded Master Bath, The Downstairs Bedroom And 3/4 Bathroom Are Nice. The Upgraded Kitchen Leads To The Spacious Family Room And It Looks In To The Beautiful Back Yard And A Patio Area. When You Purchase This House You Get A 50' Pioneer Plasma Television And The Bose Surround Sound System In The Family Room. Your Bonus Is A 3 Car Attached Garage. Ideally Located Near The Beach, Central Park With A Dog Park And The Library. What A Snazzy Two Story California Classic Home That This Is. There Are 5 Bedrooms (3 Of Which Are Downstairs Including The Master Suite). There Are 2 Refinished Bathrooms And 2 Bedrooms With An Additional Bathroom Upstairs. Dramatic Vaulted Ceilings Are In The Living Room In Addition To High Quality Decorator Windows Throughout. The Bright Sunny Kitchen And Dining Area As Well As A Cozy Fireplace Look At The Yard And Patio. Enjoy Fresh Paint On The Interior And Exterior. You'll Even Get A 2 Car Garage. A Total Of 1,871 Square Feet Of Living Space Is On The Interior Of This Home. Just Across The Street Is Golden View Elementary School And A Spectacular Neighborhood Park. Just Move In To This California Lifestyle!!!!! It's A Highly Upgraded Two Story Pool Home In The Old Farm Neighborhood Of Fountain Valley. There Are 4 Bedrooms, 3 Bathrooms And Approximately 2,214 Square Feet Of Living Space. Amenities Include: A Good Use Of Travertine Flooring, Crown Moldings, Solid Wood Doors, Recessed Lighting And Built-In Cabinetry. The Downstairs Bathrooms Are Remodeled With Deep Tubs And Designer Fixtures. This Property Was Just Recently Painted On The Interior And Exterior. Your Bonuses Are Fresh New Landscaping, A New Roof, A Fabulous Upstairs Media Room With Custom Cabinets And Wiring. The Versatile Floor Plan Works For A Home Office/Extended Family With Master Suites On Both Floors. Close To An Award Winning High School And Freeways. Here You Get A Lot Of Residence At A Premium Price!!!!! This Beautifully Remodeled 3 Bedroom, 2 Bathroom Dutch Haven American Single Story Home Is Situated On A Quiet Interior Corner Lot. It Features Approximately 1,599 Square Feet Of Living Space With An Offset Living Room Including A Cozy Fireplace And Custom Cabinetry. The Refinished Kitchen Has A Skylight And An Eating Area Which Leads To The Cozy Family Room And A Spacious Backyard. The Office Has Built-Ins Which Could Be A Hobby/Guest Room With An Additional Indoor Laundry Room. There Is Plenty Of Space For A Recreational Vehicle And A Boat Along The Side Of The House. Enjoy The Extra Patio To Watch The Sunset Views. Your Bonus Is A 2 Car Attached Garage. Think Twice It Is Paradise Year Around!!!!! Mid Century Modern. This Retro Classic Is Waiting For Frank, Dean And The Boys To Come Have A Drink. The Walls Of Glass Look Into The View In The Living Room, A Family Room, A Master Bedroom As Well As A Front Bedroom. It's Original And Uncompromised Complete With Pink Tile. Atrium Bathrooms And A Slate Entry. The Cul-De-Sac Location With A Long Driveway Leads To The Home And Affords Plenty Of Privacy. Best Of All Is This Excellent Floorplan With Large Rooms. There Are A Total Of 3 Bedrooms, 3 Baths And Approximately 2,202 Square Feet Of Living Space Here. Enjoy The 2 Car Attached Garage. Best Of All You're Close To Shopping, Schools, Beaches And Many Freeways. It Has Been Lovingly Maintained And Is Ready For You!! You'll Be Impressed With This Unique Eastside Two Story Towhome With A Yard Larger Than Some New Homes. There Are 2 Bedrooms, 1.5 Bathrooms And Approximately 1,022 Square Feet Of Living Space. Amenities Include: A Bright Sunny Kitchen Which Looks Into The Tranquil Yard And A Greenbelt Behind You. Both Of The Bedrooms Are Spacious And Have Generously Sized Closets. The Master Suite Has A Private Patio To Enjoy The Sunsets. The Secondary Bedroom Has A View Of The San Joaquin Hills. Best Of All It's An End Unit Which Shows Great And It Comes With A 2 Car Detached Garage. Enjoy This Beautiful Bellmeadow Single Story Home Located On A Quiet Cul-De-Sac Street. The Charming House Has 3 Bedrooms, 2 Bathrooms And Approximately 1,325 Square Feet Of Living Space. There Is A Fully Remodeled Kitchen Which Features Stainless Appliances And A Garden View. The Versatile Floor Plan Can Accommodate A Large Dining Room Table And Hutch Or Be A Country Kitchen With A Nice Family Room Area. The Original Owner Has Continued To Upgrade The Home With New Windows, Scraped Ceilings And Laminate Flooring. Best Of All, You're Close To Award Winning Golden View Elementary School, Central Park, Gorgeous Miles Of Beaches, Shopping And Plenty Of Transportation. Pride In Ownership Prevails Here!!!! Here's A Beautiful Spiral Staircase Franciscan Fountains Two Story Home With A 3 Car Attached Garage. There Are 5 Bedrooms, 3 Bathrooms And Approximately 2,597 Square Feet Of Living Space. Wonderful Amenities Include: Scraped Ceilings, Crown Moldings, Recessed Lighting, A Remodeled Kitchen, A Huge Family Room With A Fireplace Off Of The Kitchen And It Opens To The Back Yard With A Swimming Pool. One Bedroom And A 3/4 Bathroom Are Downstairs. It Would Be Excellent For Guests Or A Mother-In Law. The 5th Bedroom Was A Builder Option And It Can Be A Master Retreat, Office Or A Bedroom. The Yard Also Has A Firepit For That Summer Evening Enjoyment. Walk To Award Winning Golden View Elementary School And To Central Park. If You're Looking For Lots Of House, For A Good Price, Here It Is!!!!! You'll Like This Very Cute Single Story Bel Meadow Home With A Cozy Front Porch And It Is Located On A Cul-De-Sac. There Are 3 Bedrooms, 2 Bathrooms And Approximately 1,800 Square Feet Of Living Space. Sensational Amenities Include: A Remodeled Kitchen With Newer Appliances And Granite Counters, Refinished Baths, Almost New Central Heat And Air Conditioning, Windows, Roof And Carpeting! Enjoy The Spacious Added On Family Room That Is Excellent For Your Home Office, A Media Room Or A Pool Room. The 2 Car Garage Has Just Been Completed With Lots Of Custom Cabinets! You'll Even Get A Large Recreational Vehicle Access, Boat Parking Area On The Side Of This Property Behind The Gate. Close To Award Winning Golden View Elementary School, Central Park, The Beach And Shopping. You Should Hurry And Look At This Now!!!!! Here Is That Wonderful 2 Story Franciscan Fountains Spiral Staircase Model That You Have Been Looking For. It Has A Light, Bright And Breezy Feel To It. There Are 4 Bedrooms, 3 Bathrooms And Approximately 2,606 Square Feet Of Living Space. Amenities Include: Scraped Ceilings, Fresh Paint, Recessed Lighting, Corian Counters As Well As Wood Laminate Flooring In The Kitchen And Family Rooms. This Is A Great Floorplan For Entertaining With An Orientation To The Yard, A Covered Patio And A Sparkling Swimming Pool And Spa. The Huge Master Bedroom Features A Walk-In Closet And A Private Retreat That Was A Builder Option For A 5th Bedroom. There Is Also A Bedroom Downstairs And A 3/4 Bathroom. That Would Be Great For Guests Or An Office. Just Bring Us Your Offer Now!!!!! Here Is A Gorgeous 2 Story Laguna Hills Home, Located On A Cul-De-Sac In The Desirable Meredith Hills Tract. This Elegant Floor Plan Has A Double Door Entry. There Are 5 Bedrooms, 3 Bathrooms And Approximately 3,460 Square Feet Of Living Space. Amenities Include: A Dramatic Living Room With Vaulted Ceilings, A Formal Dining Room, A Great Sunlit Kitchen Which Has Corian Counters And Over Looks The Lush Yard And Patio. It Is Loaded With Cabinets Too. That Looks At The Lush Backyard And Patio. You Also Get Crown Moldings, Paneled Doors, Baldwin Hardware, Recessed Lighting And Wiring For A Custom Audio System With Ceiling Speakers Throughout The House And Patio. Enjoy The 3 Car Attached Garage. This Is Too Good To Stay On The Market. Hurry!!!! Beautifully Upgraded!!! This Is An Absolutely Adorable Single Story Huntington Beach Home. Special Features Include: 3 Bedrooms And 2 Bathrooms, Approximately 1,700 Square Feet Of Living Space On A Nice Sized 6,000 Square Foot Lot, Beautiful Hardwood Flooring And Carpeting, Custom Crown Molding And High Base Molding, Scraped Ceilings And Recessed Lighting, Newer French Windows And French Doors, Custom Window Treatments, A Wonderful Family Room Addition With A Brick Fireplace And French Doors That Open To The Backyard And The Patio. You Also Get A Huge Remodeled Kitchen. Both Bathrooms Have Been Remodeled And Upgraded. There's A Lovely Formal Living Room With A Brick Fireplace. Enjoy The Inside Laundry Which Is Conveniently Located Adjacent To The Kitchen. Relax In The Private Backyard With A Patio, Blockwall Fencing, Lush Lawn And Even A Custom Built Playhouse. You Also Get A Two Car Attached Garage With A Roll-Up Door. Great Curb Appeal With Beautiful Landscaping And An Inviting Porch Makes This Property A Jewel!!!! Close To The Beach, Shopping, Entertainment, Schools And Parks!!!! Huntington Beach SEVEN GABLES REAL ESTATE NOW LEASED!!!!! Nice 3 Bedroom, 2 Bathroom California Classic home with an open floor plan. New high quality laminate just installed throughout the house. Bright and sunny kitchen overlooks the covered side patio and opens to the huge grassy back yard. Two car attached garage and parking for multiple vehicles or a large RV on the oversized driveway. Easy access to all 3 schools, the beach, Huntington Central Park, markets, stores and transportation. Just Lease It As Quick As You Could!!!! !